Not any more. If you've priced the newest high-end cards from ATI and Nvidia, you know what I'm talking about. Such cards have taken a big jump in price from the previous generation that they are replacing--ATI's Radeon 9800 series and Nvidia GeforceFX 59xx cards. Right now, if you covet the new Radeon X800 XT or Geforce 6800 Ultra video cards, better plan on taking out a second mortgage or foregoing that new car purchase for a while! Well, OK, I'm exaggerating a bit here for effect, but $500 for a video card--and that's where most of these models start--borders on insanity, IMO. There's even a super-exclusive "Platinum Edition" of the X800 XT, with tweaked core and memory speeds, that goes for $600 and up!! Totally nuts!!! On top of that, both companies seem to be having some significant production ramp-up problems, based upon the number of models that are listed as "out of stock" when you price them at NewEgg, ZipZoomFly, GameVE and other well-known online resellers' web sites. It's quite common for the backordered cards to outnumber the in-stock models by a ratio of three or four to one! Needless to say, this scarcity of supply hasn't helped prices, either. So what's the fiscally restrained video card buff to do?? Well, let's look at the tried-and-true strategy of moving down the product line to the next model tier. 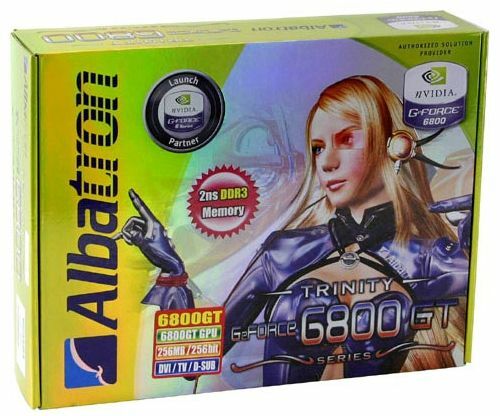 In this case, that translates to ATI's Radeon X800 Pro or Nvidia's Geforce 6800 GT cards. For the 6800 GT, this card differs from its more expensive sibling based only upon slightly lower core and memory clock settings. The X800 Pro has somewhat slower clockspeeds than the XT, and also cuts the number of pixel pipelines from 16 down to 12. Yes, the price is lower for these second-tier cards.....but not by all that much. You can still expect to pay over $400 for most of these cards, though some deals are available below the $400 threshold. Certainly, we're a long way from anything that might be considered a bargain, based upon video card price/performance relationships of the past couple of years. So how about taking another step down the model ladder? Unfortunately, that has some pretty significant negative impact, from a performance standpoint. For ATI, it's quite a long way to the next rung--the X800SE, with only 8 pixel pipelines, and significantly lower core and memory clocks. Also, this card is currently quite hard to find, as ATI's reported strategy is to keep this as an OEM-only model and not offer it for retail sale. PriceWatch lists only about a half dozen resellers that carry it, with pricing in the low $300 range. And since the reported performance of the X800 SE is only marginally better than a 9800 XT, it really wouldn't make much sense as an upgrade for a current 9800 series card owner (namely me!) anyway. The situation isn't any better for the Geforce cards. Dropping down from the 6800 GT to the plain 6800 series will cost you four pixel pipelines (down to 12 from 16), and significantly slower memory. Where the 6800 GT card use new DDR3 memory at 1000MHz, the 6800 uses regular DDR memory at 700MHz, and only 128MB of it. So clearly, it's not just playing the old "turn back your clocks" game when moving down the product line in these new cards. There are other, very significant differences that can't be countered simply through some judicious overclocking. And from what I've read, it doesn't appear that there's all that good of a chance of success in "modding" these cheaper cards through BIOS flashes or driver software mods. 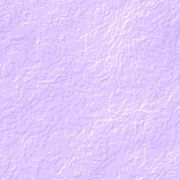 Some successes in turning on the four disabled pixel pipelines on a 6800 have been reported, but most of the postings I've seen describe the result as showing various degrees of visual defects, presumably due to "bad" pipelines. This certainly isn't surprising, given the shortage of saleable cards. I strongly suspect that there is a lot of "binning" of GPU chips going on, and the ones that are a pipeline or two short of the 16 good ones needed for a GT or Ultra end up as a plain 6800, with the bad pipes disabled. Similar situations with the X800 Pro and SE models seem very likely. Once the decision to go ahead with the upgrade is made, which card makes the most sense? Well, that clearly depends on individual needs, desires and the size of your upgrade budget. But let's assume for the moment that you haven't yet lost all sense of fiscal restraint, and really don't want to lay out $500+ for a video card that you know will be essentially obsolete in 12 to 18 months. At the same time, you want significantly higher performance levels than your current card offers, otherwise the purchase isn't really an upgrade. In that case, your choices really boil down to the Radeon X800 Pro or the Geforce 6800 GT. The two cards are very comparable in overall performance, with the differences really being on a game-by-game basis. For example, the 6800 GT cards generally outperform the X800 Pro's in OpenGL games like Doom3, while the Radeon has an edge in many of the new DirectX games. So, unless you have a strong preference for ATI over Nvidia or visa-versa (and I don't), it's time to go shopping for the best deal. After much consideration, I decided to go with a Geforce 6800 GT card. Not to take anything away from the X800 Pro, but I liked the idea of the full compliment of 16 pixel pipelines, and the somewhat better Doom3 performance (my likely next game purchase) was another plus. Also, I hadn't run an Nvidia card in my personal PC since my beloved old Ti4200, and really wanted to try one again. Albatron has been a well-known player in motherboards for quite a while, and enjoys a solid, high-quality reputation. I run one of their nForce2 mobos in my daughter's PC, and it's been great. They tout themselves as one of Nvidia's "launch partners" for the 6800 series of cards, and their 6800 GT sticks right to the Nvidia reference design. That probably helps keeps cost down. 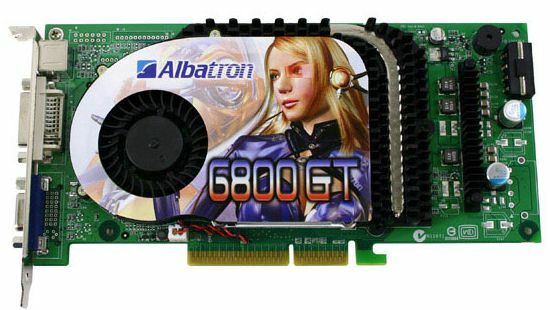 GameVE.com offered one of the very lowest prices available on a full-fledged 6800 GT, listing the Albatron card at $374 plus $6 FedEx Saver shipping. A quick perusal of Resellerratings.com showed that GameVE had solid, if not spectacular, customer satisfaction ratings. A couple of the other resellers I checked out didn't fare as well! It was ACTUALLY IN STOCK!! Hey, you may laugh, but this was a real problem in finding the best possible deal on one of these high-end cards. I got very tired of finding interesting cards listed as "out of stock". The lowest posted price means nothing if you can't actually buy one! !